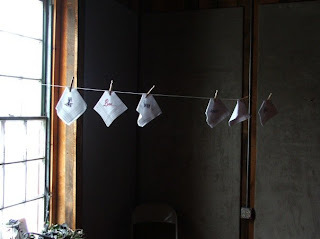 I embroidered hankies with individual words that you can change around as you see fit. 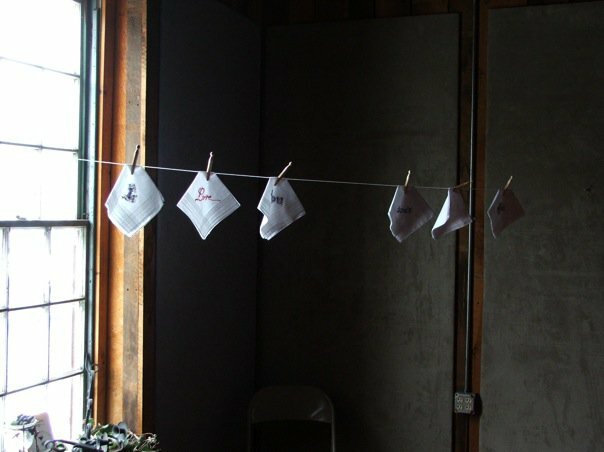 Drawing from the tradition of monogramming or personalizing our belongings, against loss, as a memento of a special occasion, or a caring acknowledgment, I embroidered a series of words on handkerchiefs. Literally playing on words, depending on their arrangement, this piece also serves as a tender reflection on relationships and the differences shifting one's viewpoint might make.